Any homeowner knows that their home needs regular maintenance and makeovers in order to properly weather the years. Repairing your home is different to giving your home a makeover. Annual repairs are needed to strengthen the structure as well as ensure that it doesn’t suffer too much damage bu;t giving a makeover usually pertains to the aesthetic of the house. Not everyone understands when they should be improving the interior or the exterior of their homes to accommodate their wants and needs. Whether you want a cozier home, a home that reflects your personality or a home that will be the perfect place for you, it is a good idea to give it a makeover. When you’re living in any home, clutter is going to be a part of the house. However, you need to be aware of the level of clutter. Too much clutter can become chaotic and make you feel disorganized. Sometimes, being messy isn’t a sign of a creative mind; it’s a sign of a messy one. Moreover, if your home is always cluttered, it can be a sign that there is not enough storage space in your home. One way that you can reduce clutter is by introducing better storage options in your home. This can be in the form of additional shelves or simply taking the time to sort through the mess and donate what you don’t require. In some cases, this can also mean learning creative ways to utilize all the clutter in your home and avoid letting it become a hindrance inside your home. Statues, figurines, decorative centerpieces and more are an almost essential part of any home. These are necessary to ensure that you are able to incorporate different color schemes as well as make a theme look more cohesive in a particular area of your home. Without any artwork, your home can not only look really bare, it is also monotonous. With nothing to catch the eye or break the view, your rooms will look plain and very dull. Oftentimes, a few bright decorative pieces in a room can help to make the room look alive and a much more cheerful place to be in. When it comes to adding art pieces in your home and giving it a makeover, also keep the theme and usage of the room in mind. It will give you more direction in picking out the right items. Again, much like the use of statues and decorative centerpieces, make sure that your walls aren’t bare and empty. Empty walls can create a sense of emptiness inside a room too. While many people prefer their walls to be bare, especially when considering incorporating a Zen theme, this can be extremely disconcerting if you weren’t going for that look. With pictures and other wall hangings, you can also do the same thing that you were hoping to achieve with statues and figurines. You can easily use them to break the monotony of the walls and create nice, bright areas that catch the eye and give you something less boring to look at. With empty walls, a room usually tends to look rather empty and dull. Whether you have wood flooring, stone flooring or even special, treated flooring, you need to take proper care of it to ensure that it stays looking nice and beautiful. One thing that can be a big sign that it is time for a home makeover is when your flooring looks scuffed, dirty or just old because it has begun to show its age. When this happens, you either need to get new flooring or in some cases, get the flooring treated in order to ensure that it looks just as good. Sometimes, in the case of wood flooring, it is possible that you might have to get the entire flooring renewed, especially if the wood has started going bad. In this case, it ruins the structural security of that area so it is a good option to have the flooring replaced completely. There is no bigger sign that it is time for a makeover, than when the paint starts to peel. Paint peels from walls for a number of different reasons, including old age. Getting a new coat of paint can also be one of the easiest ways to refresh your room and make it look brand new once again. You can also use different paint textures to create an interesting wall and give more dimensions to your room. However, before you set about applying a fresh coat of paint, it is necessary that you identify whether the peeling is occurring because of old age or it is happening because of moisture in the wall. Moisture in the wall can be a sign of water leakage and also an indication of mold growth occurring. In this scenario, you will have to address this problem first before you apply more paint. Everyone loves to have people come over but sometimes, they might be a bit apprehensive about this aspect since their home is in a rough condition. If your home is a mess, you will be less likely to invite people over or host events since you don’t want to show your place off. When your home is nicely decorated and in perfect order, you’re usually more than happy to show it to others around you. If you have gone for years without throwing a party or inviting people over because you’re not happy with the way your home looks, it is a good idea to consider giving it a makeover. This will allow you to get rid of all the aspects that make your home awful and encourage you to have a home that is nice, inviting, open and friendly, just like you. In some cases, your home might have too many decorative items, furniture and more but not enough to make your home look messy. Nonetheless, if your room appears too stuffy or it looks too like it has insufficient space, you could benefit from giving your room a makeover that introduces more space into your home. It is also a good idea to consider the layout or the available space in the room. This will make giving the home a makeover easier for you, and allow you to avoid overcrowding and inadvertently limiting the amount of space you have available. This is one reason why many people opt for Zen themes since it relies a lot on the usage of wide open spaces in a home. What is the most annoying sight you can imagine seeing any room? Bare windows. Windows that don’t have curtain shades or even blinds can be extremely annoying. It is not just about annoyance though. Without these, bare windows are a huge invasion of your privacy as anyone can easily look into your house with ease too. It is a good idea to ensure that you do have curtains and shades on your windows. You also need to acknowledge the factor that you have no protection from the sun’s rays either. If you do want windows with no curtains, shades or blinds, you can opt to get treated glass panes that not only deflect the UV rays and help in keeping the home better insulated, they also maintain privacy by becoming a two way glass and not letting anyone see into your home. It’s not just bare windows that are the problem but also how the windows look on the outside. If you don’t like them or you just fancy a change then you should probably check out someone like MWT Windows to help you get what you want. There is a reason why people pay so much attention to the natural light that comes inside a home. It is generally beneficial for a person and it can also make a room look more cheerful and bright. On the other hand, even if there is not enough natural light, you can also make use of lighting options such as lamps and light fixtures to make a room brighter. Pay attention to how the house looks with and without lights. You might want to introduce better lighting options or consider getting bigger windows. In some cases, you can also have another window built in some area of the home if you feel that it will add more space. 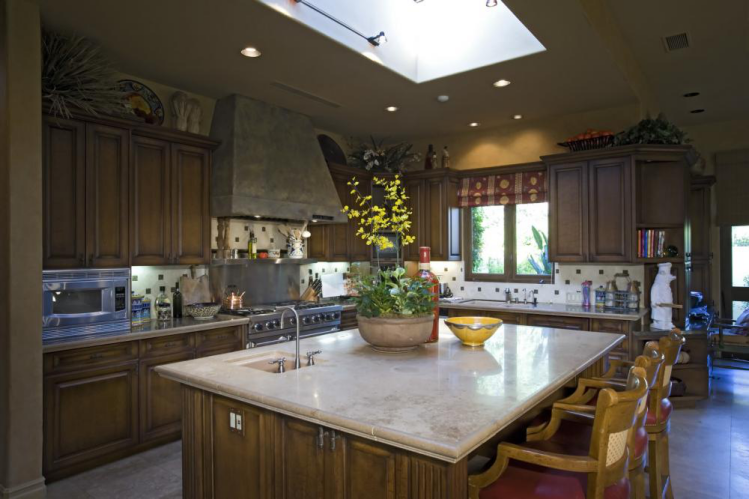 Most people also love the introduction of fixtures such as a glass sun-roof that not only adds more light but can make small kitchens look nice and airy. Another time when a makeover is absolutely essential is if you are considering selling your home. The resale value of a home is definitely impacted by its current condition and you can find that you can easily ask for the best market price when your home is in perfectly good condition. The best option in this case is to carefully look at your home and identify which areas require a makeover. Once you have identified those areas, you can set about making your home look nice and neat. Moreover, there are certain additions to your home that can actually boost the overall value of your home when it comes to resale. A finished basement, an insulated attic and even a patio or deck can be great ways through which you can boost your home’s value as well as make it look good. Keep in mind that certain additions don’t always add value. For example: While swimming pools are favored, most buyers don’t want to deal with the additional, annual maintenance costs that they would have to deal with and might not be willing to buy your home. Picking additions to your home that add value to your home will have a bigger impact on the resale value. Often times, it is the eccentric homes that turn into lemons, and stay on the listings for longer. If you are planning to sell your home, it might be a good idea to consider giving it a makeover on this basis. 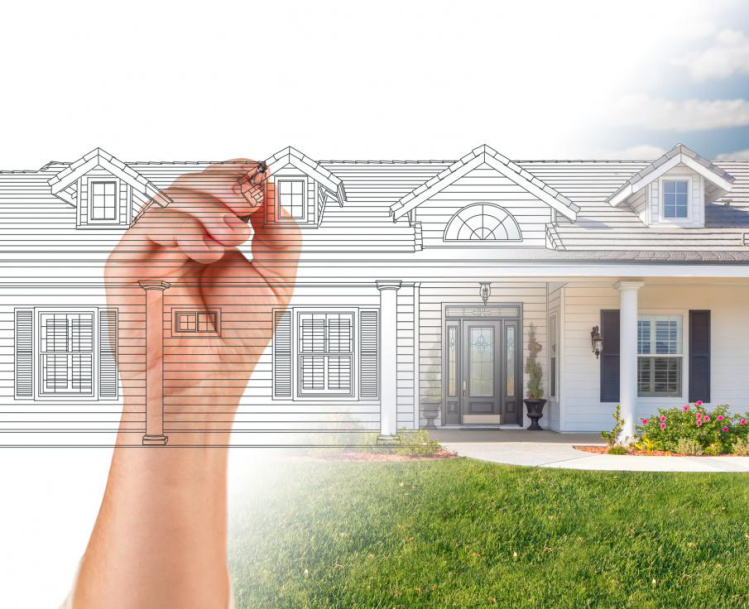 Otherwise, you can easily get your home customized in accordance to your wants and needs without any worries. You could also increase the value by adding some security measures like a home security system. After all of this, you’re home’s selling value should definitely be higher. If you do decide to sell, it’s important that you sell with the right people in order to give you a smoother selling process. You may want to check out an independent home buying company such as We Buy Houses that do not charge real estate commissions. 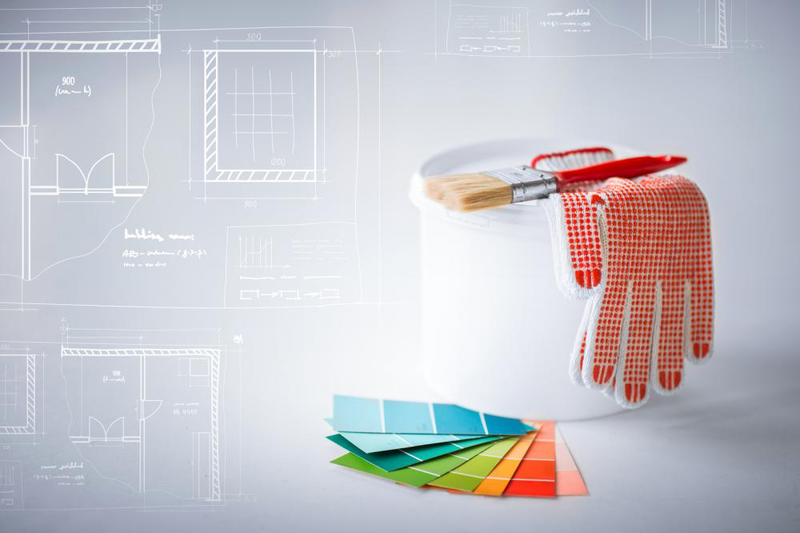 If you’re considering giving your home a makeover, it is always a good idea to opt for a professional company in order to ensure that there are no mistakes. While the cost of working with a professional might make you reconsider at times, it is a good idea to realize that the results you get from them are usually worth the price. In any case, it is a good idea to shop around and explore your options before you opt to work with a professional. By picking the best options, you can easily ensure that you are getting the best work done. In many cases, it can be easy to pick a professional company based on their user reviews, their years of experience as well as their previous projects. If you’re considering making use of professional makeover services for your home, get in touch with One Man and A Brush Pro Painters. Our services are perfectly crafted to meet all your painting needs. With our eye for architectural design and understanding of interiors, we can give your home the perfect makeover that you have been hoping for. For more information about our services, make an appointment or to get a quote on a certain project, please get in touch with by calling on: 678-368-5115. With a BBB accreditation and a stellar reputation, we are the best professionals to handle any painting job you might have in mind. Whether you need the interior painted or exterior painted or have some other DIY project in mind, we can provide you with the best results to give you your dream home.